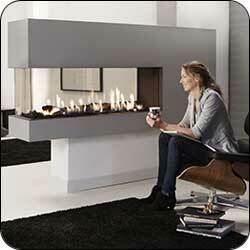 San Francisco’s Leading Chimney Service Company & Fireplace Showroom For Over 41 Years! We are the preferred choice! 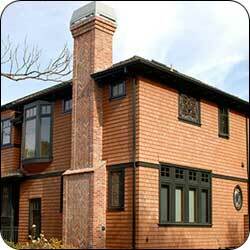 San Francisco and Marin County’s Leading Chimney Service Company & Fireplace Showroom For Over 41 Years! Are you dreaming of a relaxing place to wind down with a glass of wine in the evenings or a cozy place to gather with family and friends? Why not reminisce with loved ones in front of a beautiful, eco-friendly hearth and let the stresses of the day melt away? Here at London Fireplace Shoppe, we carry a wide assortment of eco-friendly, clean-burning, eye-grabbing fireplaces, stoves, and inserts. All of our products are designed to bring ambiance, charm, beauty, and warmth, without guilt about the environment. Feel free to browse our selection or contact us if you are looking for something custom for a more unique touch! At London Chimney Services & Fireplace Shoppe, we know fireplaces! From creation and installation to service and repair, we have the knowledge, experience, and certification to guide you through the entire life of your fireplace and chimney. We have been providing top-notch chimney services and fireplace expertise to San Francisco and the Greater Bay Area since 1977, so you can trust that we’re invested in the community. We know that choosing a fireplace, insert, or freestanding wood or gas stove is a big step and can be an intimidating process if taken on by yourself. That’s why every member of our staff is prepared to help you every step of the way, from the first call to our ongoing service. 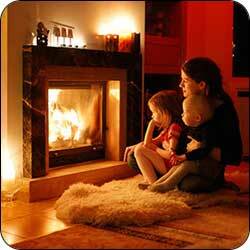 We want you to be happy with your fireplace for years to come and will work diligently to make that dream a reality. Once you have the fireplace of your dreams, it’s important to keep it functioning efficiently and safely. That’s where our chimney services division comes in! We perform a wide range of chimney sweep services — from inspection and cleaning to masonry and repair — designed to keep you, your family, and your home comfortable and protected! Don’t Forget About Dryer Vent Cleaning! One of our main goals as a chimney sweeping company is to help keep your home and family protected against dangerous fire hazards that can be associated with owning and operating a fireplace. In keeping with this theme of safety, we perform dryer vent cleaning and servicing as well. If dryer lint is allowed to build up in your dryer vent, you could become the victim of a costly and dangerous dryer fire. We’re trained and certified to service your dryer vents and chimneys, so when we leave your home, you can rest assured that your chimney and dryer vents are safer and cleaner. At London Chimney & Fireplace Shoppe, we are proud to be able to provide quality chimney sweeping, inspection, and repair services to San Francisco County, Marin County, Sonoma County, and Napa County, California. From Outer Mission in the south to Sonoma in the north; Inverness in the west to Atlas in the east. Learn more about our extensive service area here! Give Us A Call Or Stop By And Say Hello! If you are in San Francisco or the Greater Bay Area and are looking for high-quality chimney sweeping, cleaning, and repair services or are in the market for a new fireplace, stove or insert, give us a call or stop by our showroom at 267 Shoreline Hwy in Mill Valley, CA (94941). We’re here to help you keep your home as comfortable and cozy as possible. Let us show you what sets us apart! The products in our showroom will give you a huge selection of stoves, fireplaces, inserts and accessories of all kinds. When you think chimney, think London Chimney Service and Fireplace Shoppe. Scheduling a Service appointment is easy - fill out our form and we'll meet you very soon. "... fast working, efficient, professional and pleasant to deal with." © 2018 London Chimney Services. All Rights Reserved.